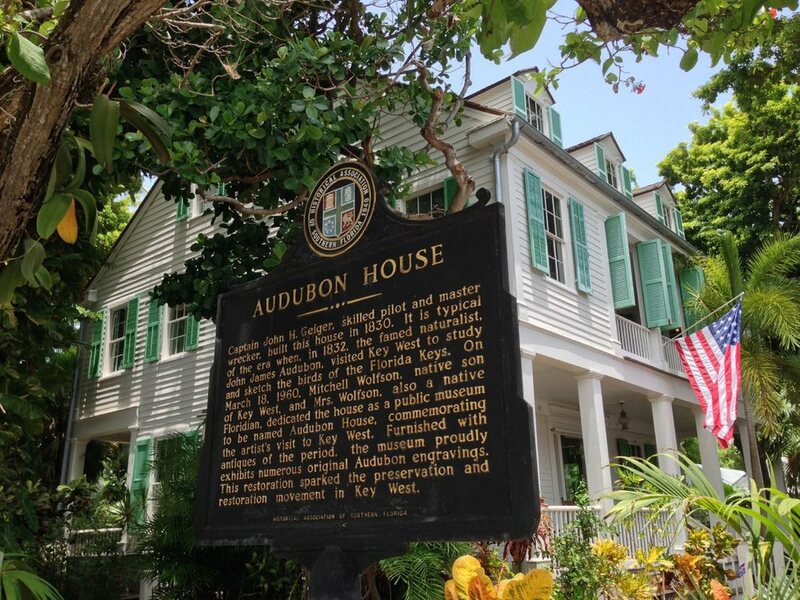 A visit to the Audubon House and Tropical Gardens is a step back in time to the world of a maritime pilot and master wrecker in mid-19th century Key West. The grand home that is now known as the Audubon House was built by Captain John Huling Geiger in the 1840s as a residence for his family, who lived there for more than a century. Slated for destruction in 1958, the Geiger mansion was saved by the Mitchell Wolfson Family Foundation, a nonprofit educational organization. The home’s large scale restoration was the first of its kind in Key West and sparked Key West’s restoration movement. Today, the home and its furnishings reflect the elegance and comfortable living enjoyed by a wealthy family in Key West in an era when frequent shipwrecks on the offshore reef created a flourishing ship wrecking industry.